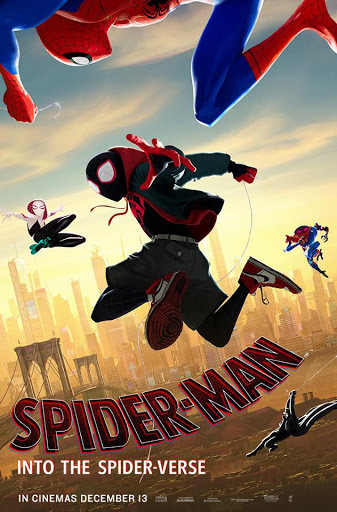 Sony Pictures' animated movie “Spider-Man: Into the Spider-Verse” has created waves across the geek world with its simple yet iconic storyline that has a lot of heart and chockful of easter eggs, accompanied by eye-popping dash of colour and a snappy pace. Red Dot Diva loved the movie too, and thought it was the best animated movie of the year. “Spider-Man: Into the Spider-Verse” translated the characters from the 2D comic book pages to animated form, by fleshing out the characters whom we love, like Peter Parker (Jake Johnson for the scruffy 'B' version), Gwen Stacy (Hailey Steinfeld), and the latest Spidey hero Miles Morales (Shameik Moore) in such a delightful manner. It made us even feel a little for the villain, Kingpin (Liev Schreiber). The animated feature is also a beautiful, heartfelt tribute to Spider-man's creators Stan Lee (who passed away a month ago), and Steve Ditko. For those sniffle-worthy moments, do not forget to stay on for the movie's post-credits, for which there are two. I’ll just say it right up front. “Spider-Man: Into the Spider-Verse” isn’t just my favourite movie of the year, it’s also one of my favourite superhero movies ever, one of my favourite Spider-Man stories in any medium, and easily my favourite Spider-Man movie. Why Into the Spider-Verse tops all of them for me, however, is that it’s the one that didn’t just nail the spirit of the character, but it also tapped into the idea of why we al love Spider-Man. The weather was sticky and muggy last Sunday evening, but Red Dot Diva felt happy to be back in Fort Canning Park for an evening of theatre accompanied by a enjoyable picnic on the lawn. She was there to indulge in one of the biggest Shakespeare in the Park productions in the region - Singapore Repertory Theatre (SRT)'s adaptation of Julius Caesar. The production also part of SRT's 25th Anniversary celebrations. In 2017, SRT called off the beloved annual Shakespeare in the Park due to funding issues, as they saw large sponsors depart and production costs rise. However, with backing from loyal corporate sponsors as well as support and crowdfunding from an ardent group of theatre lovers, the outdoor production is back in its usual venue, with a huge impressive set! Right after entering Fort Canning's Gothic Gates, attendees were invited to climb up the stairs from backstage and to walk around the modern, "concrete-and-glass" looking Roman Piazza set. A semi-circular structure held an audio-visual display, and flags of the seven "nations" of the R.O.M.E. alliance marked the stage where the Shakespearean tragedy will later unfold. Standing up on stage with ushers who were dressed the part as government officials, Red Dot Diva felt as if she has already become part of the story. Diva's Movie Review: "The Lego Batman Movie" Is Funny and Simply Bat-astic! Total geekgasm is how Red Dot Diva would describe "The Lego Batman Movie", which premiered in local theatres on Thursday, 9 February 2017. There's LEGO of course, kapow! action, tons of comic book references, several pop-culture nods, and Batman. Lots and lots of Batman! In fact, "The Lego Batman Movie" is more Batman than the Batman movies of recent years, and most of all, it's the funniest! 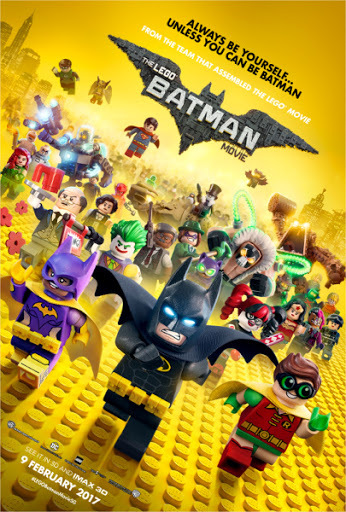 With Will Arnett providing Lego Batman with his imitable deep raspy voice, the animated bricked Dark Knight is even more larger than life, his over-the-top heroic gestures and constant declaration that he only works alone, is just but an excuse to avoid feeling abandoned again. Even his arch nemesis The Joker (voiced wonderfully by Zach Galifianakis) knows that all too well. With many of the social media timelines filled with friends who have polarizing views about the results of the USA election, perhaps there is need for some time out. A feel-good kind of time out. 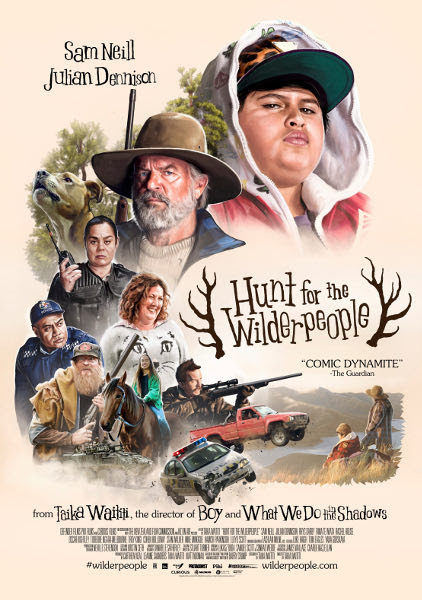 "Hunt for the WilderPeople" is essentially a hilarious buddy dramedy with a quirky take on the fugitives on the run trope. 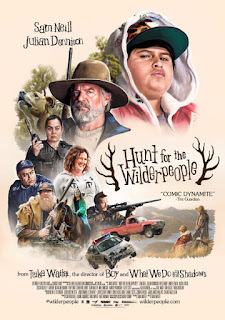 The movie focuses on the adventures of two unlikely characters - chubby, orphaned, city street kid Ricky Baker (Julian Dennison) who thinks he's a hip hop thug and his grumpy over-60 ex-prisoner/ farmer/ super-bushman foster uncle Hec Faulkner (a very silver foxy Sam Neill). "World of Warcraft" (WoW) is an immensely popular multi-player game by Blizzard Entertainment, where one could role-play as different fantasy characters like mages, elves, humans and orcs to fulfill various quests. Millions of player accounts have been created since its first version was released in 1994. With recent technological advances in the field of VFX, the company was keen to translate its success across to the big screen. 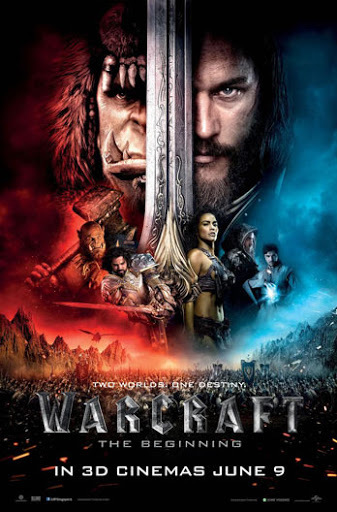 In fact, a Warcraft movie was announced in 2006 as a project undertaken with Legendary Pictures, which means it has taken about 10 years for it to arrive at its final version. "Warcraft: The Beginning", as suggested in the title, bypasses the recent WoW game scenarios and heads right back to the start - the battle of Orcs vs Humans. Following the phenomenal success of "The Walking Dead" (TWD), a prequel/ spinoff called "Fear The Walking Dead" (FTWD) was aired last year on the AMC cable channel. The show is also the brainchild of TWD's Robert Kirkman and co-creator Dave Erickson. There seems to be lot of faith placed on FTWD's showrunners, as a second season was renewed ahead of the airdate for its Season 1 premiere. Set in sunny and highly populated city of Los Angeles, FTWD followed the series of events that unfolded right after the initial onset of a virulent strain of infection. A group of survivors which consisted mainly of an extended family, stumble and bicker as they attempted to avoid being zombie lunch. Although to be clear, in the series' timeline, the hungry biters were called "The Infected". Red Dot Diva found the first season of FTWD a very very VERY slow burn, even though there were only 6 episodes aired. 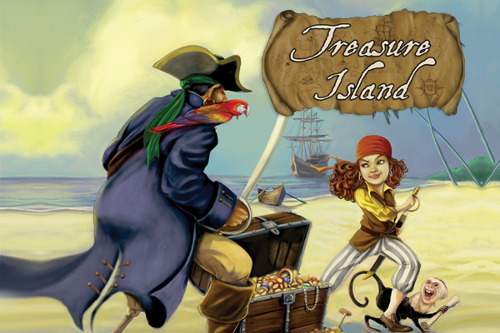 The Singapore Repertory Theatre's (SRT) year-end play "Treasure Island" is not the scary sort with pillaging pirates running amok committing bloody murders on board a schooner. Rather, this adaptation of Robert Louis Stevenson famous book by SRT's The Little Company is a delightful, G-rated musical that will appeal to children young and old, as well as most adults, and makes for 1.5 hours of fun family time. The musical follows quite closely to the novel except for one main twist to the storyline - Jim Hawkins (Ann Lek) has been genderbent to an adventure-loving 13-year-old girl who works at the Bentbow Inn. With Jim stumbling upon a map owned by the late Captain Flint (and the scariest pirate that has ever lived), she sets sail on an adventure to a Caribbean island together with a crew led by Captain Smollett (Erwin Shah Ismail) and Squire Trelawney (Tan Shou Chen). Unfortunately, on board as well is Long John Silver (Dwayne Lau) who pretends to be friends with Ann Lek while plotting a mutiny together with his comrades Hands (Kimberley Chan) and O'Brien (Michell Lagos), so that they can get their greedy hands on the treasure map. This phrase and question echoed throughout "The Hunger Games: Mockingay - Part 2", the finale of the series of movies adapted from the novels of the same name by Suzanne Collins. 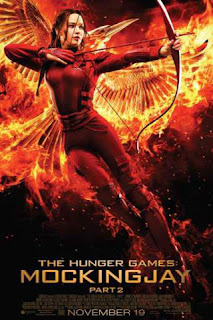 Carrying on right after a still-brainwashed Peeta (Josh Hutcherson) attacked Katniss (Jennifer Lawrence) at District 13's rebel base camp, the movie is mainly about the insurgents' planned siege of the Capitol in the bid to save Panem from President Snow's (Donald Sutherland) dictatorship. Here's a Red Dot Diva warning - the movie's pace is slow.... very slow, and angsty, with short bursts of action happening only in two main parts. To get through the movie, one requires a lot of patience. The final instalment clearly suffers from the case of Two-Parter-citis. "Mockingjay" the movie would have been more compact and more effective if it was just one film. 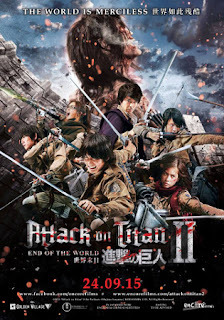 Even though the live action movie "Attack on Titan" Part 1 did not meet most of the fans' expectations, it still had a pretty good box office run both in Japan and locally in Red Dot Island. 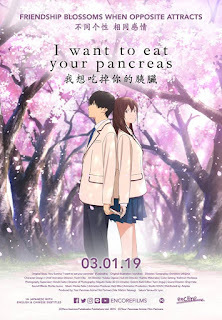 Part 1 made SGD 3.8 million (USD 4.8 million) in its opening week in Japan, and over here, gross takings was over SGD 818,000 after four weeks of screening at only 15 locations. Red Dot Diva watched the preview of Part 2 earlier this month and was all set to enjoy a similar "fear experience" that was the most enjoyable aspect in the first movie. To her surprise and disappointment, the follow-up film had fewer hungry Titans stomping and much less gore, with hardly any character development. In fact, some of the characters were hardly even seen or had spoken dialogue - like Sasha, for instance. Instead, there was a lot of dialogue which slowed down the pace considerably, making the movie harder to sit through without feeling impatient. The action did pick up toward the end but by then, one would hardly care enough for the young cadet team to root for their victory. Whether the live action movie adaptation of "Attack on Titan" (進撃の巨人) is worth feasting one's eyes upon would depend on one's palate. 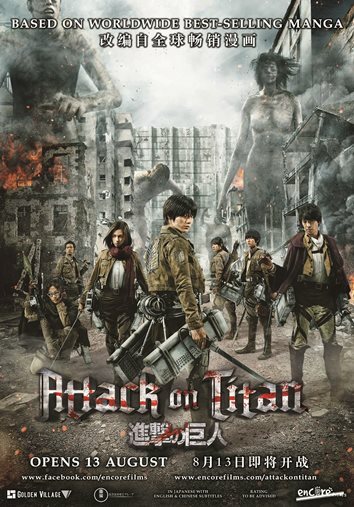 Essentially, "Attack on Titan" is about the remaining clusters of mankind battling to survive against enormous creatures who stampede through the cities' barricades, and whose single purpose is to devour every single human being in sight. Both the original manga written and illustration by Hajime Isayama, as well as animated series, are hugely popular with anime fans. For such fans, the live action movie may turn out to be a disappointment. Red Dot Diva understands that there is an almost impossible challenge to adapting the character-rich world of manga and anime into a two-part movie, but in this case, she felt that the key changes made were not entirely to the film's advantage. 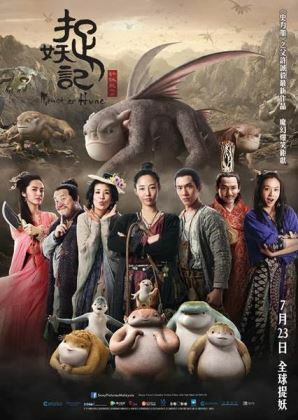 "Monster Hunt" (捉妖记) is probably one of those movies you may not have heard of, but it is the biggest hit movie in China right now. On opening day alone, the movie raked in 162 million Yuan (SGD 35.8 mil) of box office takings. 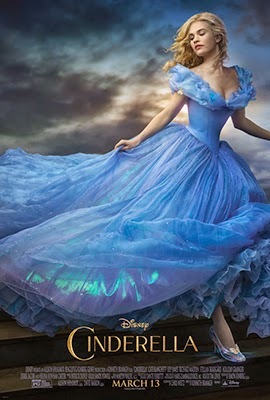 In addition, it also earned over 669 million Yuan (SGD 147.8 mil) during the first weekend. It is currently the highest-grossing film in China, having earned 1.32 billion Yuan (SGD 286.7 mil) since its first day at the box office. These record-breaking feats got Red Dot Diva curious enough to see whether "Monster Hunt" was worth all the hype, even though generally, her taste in films do not coincide with those of most viewers in mainland China. Directed by Dreamworks animator Raman Hui, who was also co-director on "Shrek the Third", "Monster Hunt" is a blend of live-action and VFX footage in a Sinicized-fantasy world where monsters and mankind are at odds with each other, and the monsters are driven by the humans to flee deep into the mountains. 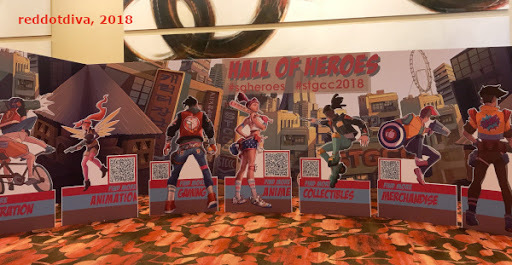 After the noisy, over-the-top "Avengers: Age of Ultron" that resembled and felt more like a video game than a satisfying movie, Red Dot Diva toned down her expectations on the next Marvel superhero movie. 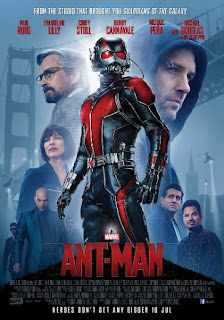 Sure, she adores Paul Rudd and his work, but Ant-man has never been totally mainstream as a superhero, even when, in the comics, he is actually one of the founding members of The Avengers. Most people could never quite envision Paul Rudd (who mostly did comedies) to be a superhero either. Moreover, after nearly 9 years in the making at the hands of British director Edgar Wright, "Ant-man" saw his suddn departure in May 2014 due to "creative differences". He was later replaced by Peyton Reed as director, who also re-crafted the script together with Paul Rudd and Adam McKay. Will this be another storytelling mess filled with too many characters? The promotional trailers for "Ant-man" were very low-key, so would that mean it was going to be a bland movie? She knew she was not alone in her skepticism. 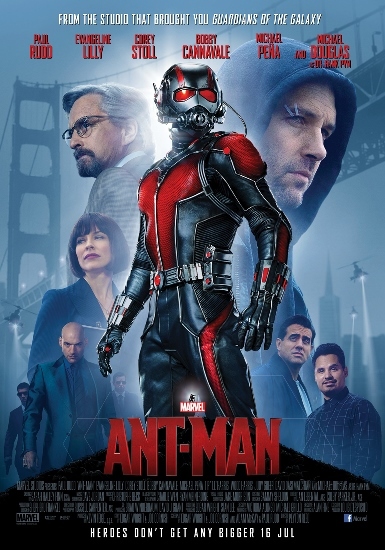 But those niggly feelings fell apart within minutes of the opening scene that set the tone of the entire movie - thanks to the engaging script and innate charm of Paul Rudd as burglar-genius Scott Lang. It rained a couple of hours before showtime when Red Dot Diva attended SRT's Shakespeare in the Park last year (the play was The Merchant of Venice). 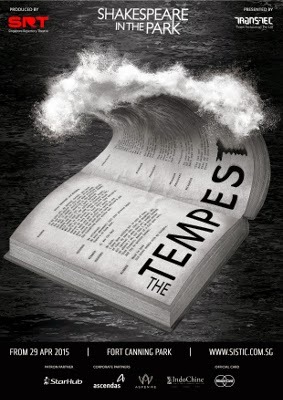 As fate has it, the weather did a repeat performance again on this year's Labour Day show for "The Tempest". The dark clouds refused to disperse even after the gates opened at about 6:40PM. As the streaming crowd settled their mats on the lawn, it continued to drizzle. At one point, the rain got heavier, and umbrellas began popping up around the field like colourful mushrooms. Yet, the crowd, hopefuly and undeterred huddling beneath their shade or ponchos, was hopeful that the show will go on. And it did. It was a sold-out performance that night, and SRT was determined to have the show go on. Luckily, after a short prayer to the weather angels, the rain showed signs of subsiding, with the sky even offering a rainbow tribute. The open-air stage was then promptly wiped and mopped up to get ready for the performance. 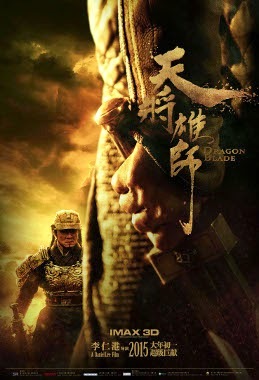 The very very very expensive epic historical action movie "Dragon Blade" opens officially in cinemas island-wide today on 19 February, the 1st day of Chinese New Year. From what Red Dot Diva was told, the movie did very well during the sneak screenings from 13-15 February, grossing about S$147,662 in just 3 days. The cast were in visibly good spirits on their first promotional stop in Red Dot Island, even though Adrien did seem jetlagged at the morning's press conference. Later that day at GV Vivocity for the red carpet gala premiere, they seem to have perked up more. Hundreds of fans (mostly young ones, who seem to be there screaming for Choi SiWon) were lined up along the passageway leading into the multiplex, all eager to catch a glimpse of their favourite idol(s). 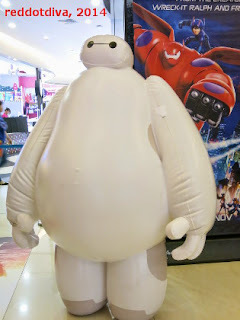 Diva Cannot Get Enough of Baymax - At "Big Hero 6" Preview, Funko Toy Exhibition and the Movie Review! Red Dot Diva simply cannot resist it. She has met Baymax and he is soooooooooo cute!!! Thanks to the folks at the local Disney PR, she was invited to a special preview screening of "Big Hero 6" last Saturday at Bugis+ Filmgarde. 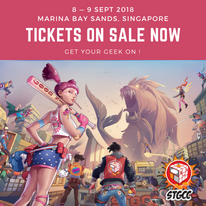 "Big Hero 6", a creative result from Disney's acquisition of Marvel and her properties, is the studio's latest superhero animation film which will out on theatres islandwide tomorrow, 13 November. "Remember to come early!" urged the Disney PR representative. "There will be fringe activities. Red Dot Diva had little idea what these fringe activites were, other than being pretty sure there will be a life-sized version of Baymax on display, but she headed down "early" to Bugis+ Filmgarde, anyway.